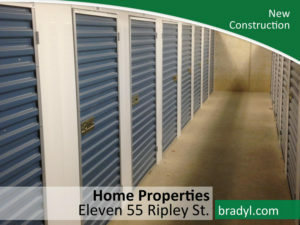 Why Include Storage at Your Property? With Bradyl’s creative approach and innovative product offerings, we turn underused or limited space in your residential property into a profit-generating amenity. Storage space is in high demand, especially by Millennials who expect top tier amenities, and Baby Boomers who are downsizing from larger, single-family homes. The absence of adequate storage space can be a deal-breaker for prospective residents focused on the “live, work, play” environment that allows them to go from home to any other activity without a second stop at an off-site storage facility. Storage provides a tangible opportunity for increased property revenue. Buildings can earn up to $5 per square foot by providing opportunities for residents to store belongings on-site rather than at third-party, off-site locations. Think your property doesn’t have sufficient space for additional resident storage? Think again. Bradyl specializes in identifying often-overlooked space and implementing innovative storage solutions for these hard-to-fit or limited areas. The Bradyl Box offers a garage storage solution allowing residents to use wasted space above the hood of your car. We assess your location and storage needs and recommend affordable alternatives. Did you know that condominium owners and apartment renters view storage space as being as valuable as a pool or fitness center? Increase your desirability in a competitive market by offering on-site storage. 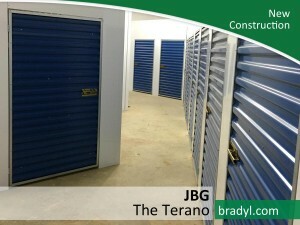 Bradyl Storage Solutions can show you how to optimize unused space in parking garages, basements, or individual units to make your property more attractive to residents. Want to know how to turn under utilized space into profitable income? Even if you already have storage on site, Bradyl can upgrade your offerings by adding such desirable amenities as bicycle racks or parking space storage options. These not only increase the value you can offer to residents, but also function as an additional income stream for your property. Properties report that they regularly earn up to $5 per square foot! And since Bradyl offers the most competitive pricing on only the highest quality storage materials, you recoup the cost of installation within just a few years.